In Surendranagar, the most qualified nominee, a doctor, is pitted against a Class 5 dropout. 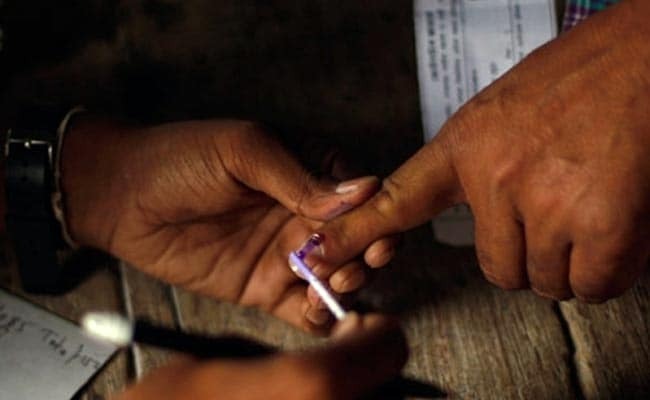 Lok Sabha elections for 26 seats in Gujarat will be held in a single phase on April 23. Out of the 52 candidates fielded by main contenders BJP and Congress in Gujarat, 25 are not even graduates, while in one seat the most qualified nominee, a doctor, is pitted against a Class 5 dropout. As per details furnished by candidates in their nomination forms, BJP's Surendranagar seat nominee Mahendra Munjpara holds a doctorate degree in general medicine while his main rival, Congress' Soma Patel, dropped out of school after Class 5. Mr Munjpara is contesting the Lok Sabha polls for the first time, while Soma Patel is a three-term MP, who also won the 2017 state Assembly election from Limbdi. Out of the 25 non-graduates, 14 have been nominated by the BJP and 11 by the Congress. Among these 25, four of the Congress and one of the BJP did not complete their matriculation. BJP's sitting MP Kirit Solanki, who is again contesting from Ahmedabad (West) seat, its Valsad seat nominee KC Patel and Congress' Bardoli seat candidate Tushar Chaudhary hold MBBS degrees. Two candidates, Parbat Patel and Bharatsinh Dabhi, contesting on BJP's ticket from Banaskantha and Patan seats, respectively, are lawyers. Besides, BJP's Mitesh Patel and Congress' Bharatsinh Solanki, both contesting from the Anand seat, are qualified engineers. BJP's Kheda seat nominee Devusinh Chauhan and Bardoli candidate Prabhu Vasava also hold engineering degrees. BJP's Panchmahal seat nominee Ratansinh Rathod and Dahod candidate Jaswantsinh Bhabhor are B.Ed (Bachelor in Education) degree holders. Besides, two candidates of the BJP and five of the Congress are commerce graduates. As per the nomination forms, BJP's Bhavnagar candidate Bhartiben Siyal holds a BAMS (Bachelor of Ayurvedic Medicine and Surgery) degree while Congress' candidate from the same seat, Manhar Patel, has done a diploma in agriculture. Total 573 candidates have filed their nominations in the state.